Christmas bark is one of the easiest homemade gifts to make. Everyone always seems to enjoy receiving it, if we manage to get it to the packaging stage! 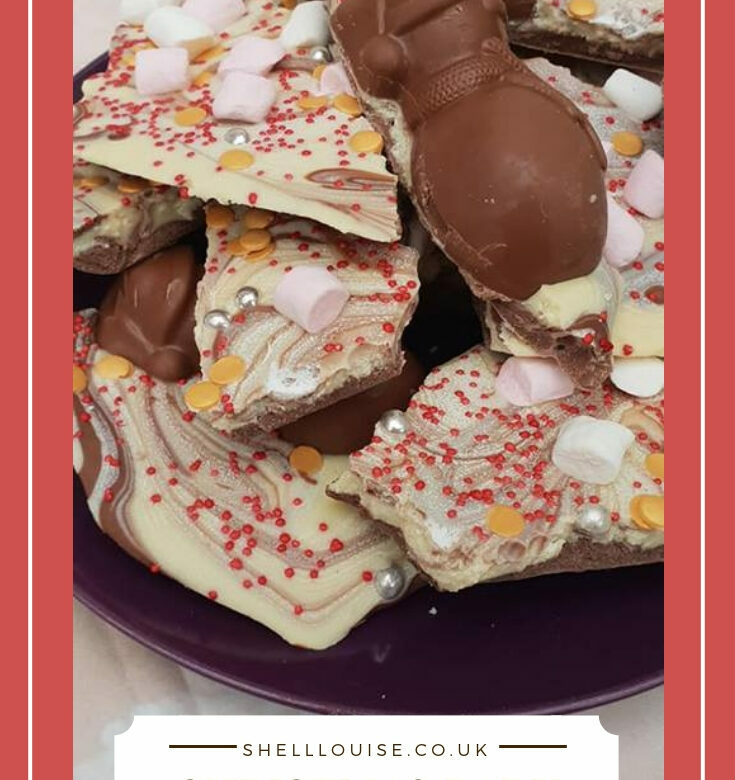 If you’re planning on making some Christmas bark and you have children, it’s probably a good idea to buy extra ingredients to allow for all the taste testing! We made this batch back in September (I’m being super organised on the blog this year so I don’t feel as stretched in December with everything else that needs doing) and while some stores had some Christmas goodies available, it wasn’t as great a selection as you can get now. The baking aisle should have some Christmas themed sprinkles now which would look lovely on the bark. Melt the milk and dark chocolate in separate bowls. Now the fun part – go mad with the toppings! Put the tray in the fridge and leave until set. Ours took about an hour. You can get some lovely cellophane bags from eBay if you want to give the bark as Christmas gifts. We used snowflake printed bags and curly ribbon to seal them.